You may be interested in buying a DJI drone. Deals and voucher codes that you can use at reputable online UK sellers will certainly not disappoint you. With brilliant selections from industry-trusted retailers, we have hand-picked cheap DJI deals to help you stay on top of your savings. Get big discounts on selected models at Currys PC World, Amazon, and eBay. There are a lot of amazing DJI deals online to choose from and you will surely get great value for your money. Get access to the most affordable DJI drones that you are looking for. DJI Mavic Air Drone with Controller - Flame Red - Save £87! 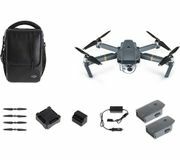 DJI Mavic Pro Foldable Drone Lowest Price Ever! Find amazing savings on a wide selection of DJI drones in the UK! Aerial photography and videography dominate for the last couple of years. This becomes possible thanks to UAV or unmanned aerial vehicles. With an activity like this, you should trust a brand with unstained credibility and reputation. This is when SZ DJI Technology Co., Ltd. or DJI comes into the scene. DJI is a Chinese technology company based in Shenzhen, Guangdong. It has manufacturing facilities for an unmanned aerial vehicle, camcorder, camera stabilizer, flight platform, gimbal, flight controller and propulsion system all over the world. Indeed, the brand has led the commercial and civilian drone industry. It has dominated almost 70% of the market. Thus, the technology has been utilised for various crafts too such as television, music and film. Furthermore, it is also found in major productions such as that of the American Ninja Warrior, the Amazing Race, Game of Thrones, and others. The company is award-winning. 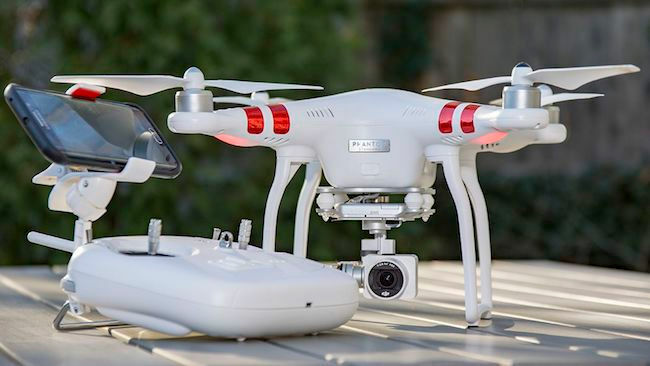 It has received a Technology & Engineering Emmy Award because of its camera drone technology. This is when they were appreciated for excellence in creativity. They have provided cinematographers and directors with an affordable and accessible platform to showcase aerial images on their productions and projects. The resolution of the video must be checked. There is a variation with video resolution. It may be froma low one to 4K. If you have to add a filter and upload it in social media sites, you can shoot at around 1080p. However, if your goal is a cinematic video - a 4k work is vital. The quality of image is crucial. If you are already knowledgeable with camera, you surely have an idea about sensors that are responsible for the quality of image. This is also true about aerial photography drones. The new standard is an inch sensor. Mavic 2 Pro has this feature. The drone must have a mounted gimbal. A gimbal is known as an integral piece of equipment that is the answer to a stable video. There are cheap camera drones that consider gimbal as an accessory only. If you do not have this, your shots will be shaky. To be safe, go for drones with a mounted or built-in gimbal. The device should hover right. When it comes to drones, stable hovering is an important element. It is simple to understand that if the drone cannot hover, it will only drift, fall, rise - and over again. To assure this, look at the advanced flight control system and onboard sensors of the unit you are eyeing for. This should not be a problem with DJI. 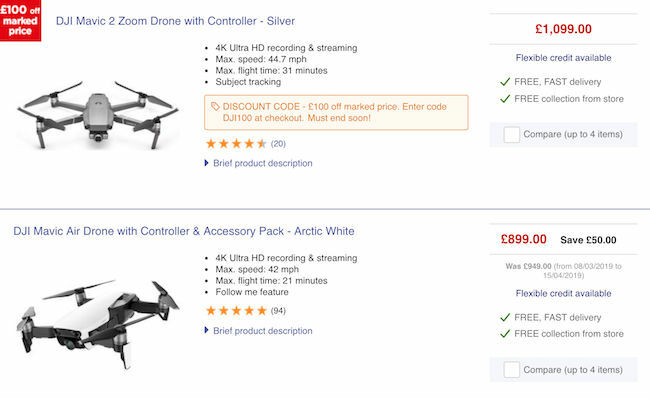 How to Find Cheap DJI Deals Online? There are plenty of ways to save on your purchases online. Most online UK shops such as Amazon, Argos, Currys PC World have regular sales, seasonal clearance, and flash sales where you can get up to 50% off on a wide array of DJI spark, DJI Mavic air, and DJI Mavic pro 2. There are even retailers that have 3 for 2 and 2 for 1 offers on select items. Also, the best time to get huge savings is during Black Friday, Cyber Monday, and Boxing Day where an extensive selection of products like DJI drone spark, and DJI tello from your favourite UK retailers are reduced to clear. Knowing when and where to look for the lowest possible price on DJI drones UK, and drone shop UK is the key here. Fortunately, you don't have to spend hours online searching for special offers, bargain deals, and price drops on DJI UK , DJI coupon code and Curry's drones. Our massive community of bargain hunters regularly share verified discounts, promos, and voucher codes from GearBest, LightInTheBox, Maplin and from other reputable shops across the country. We also have a team of money-saving experts who always share essential tips and tricks on how you can get every day low prices on cheapest DJI Mavic pro, drone Argos, and DJI deals when shopping both online and instore. Getting additional money off with the help of Latest Deals is easy. You can maximise your savings by simply using the latest DJI discount code of your choice upon check out. There are also voucher codes that can provide you with Cheap DJI with free shipping and gifts. Exaggeration aside, a drone is probably included in most tech savvies’ wish list these days. With enough budget, it is not impossible to have one. To be honest, it is almost a form of investment. It is not the cheapest but there is. Prior to getting a unit, you should ensure that you are looking for an incredible mix of affordability, advanced tech and sheer flying fun. These are necessary. DJI Mavic 2 Pro. DJI Mavic 2 Pro camera is an excellent. It can provide you superb stunning 4K video and 20-meg stills. This unit is almost a progression. It does not fit any mobile application and you would have to utilise a gimbal for it, and a massive strap-on battery at that. The Mavic 2 Pro is a solid, flight wise so you can depend on it for sure. DJI Mavic Air. This offering from DJI is commended for excelling in every aspect of the drone technology. It is light and small. It also has four folding rotor arms that are portable enough to be held whenever you wish to. 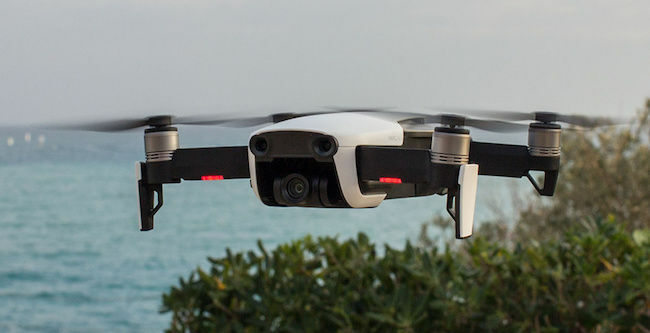 The 4k video quality of DJI Mavic Air is on a par with its contemporaries. You can also achieve four different styles of panorama images with this. DJI Spark. DJI Spark is the best for selfies. This is probably the most affordable version of DJI in the market. It flies flawlessly without worrying if its propeller arms are going to fold. Furthermore, it also shoots 1080 images which may work to your advantage, if you want to. DJI Mavic Pro. DJI Mavic Pro is the high-end drone of the brand. It is incredible and portable. It can also avoid an obstacle while on air. Furthermore, it also produces Superb 4K and HD footage. Despite the arrival of the other versions, this is still a favourite to many because of its affordability. It can also fly up 27 minutes in the sky which is a great deal already. DJI Mavic 2 Zoom. When it comes to shooting a video, this is definitely the best drone. This enables users to do a 2x optical zoom with a 35mm format. If you are in need of that kind of feature, the Mavic 2 Zoom should work for you. However, you should be prepared for the image resolution may be forfeited here. This is understandable.